So this might just be the best advertorial ever. 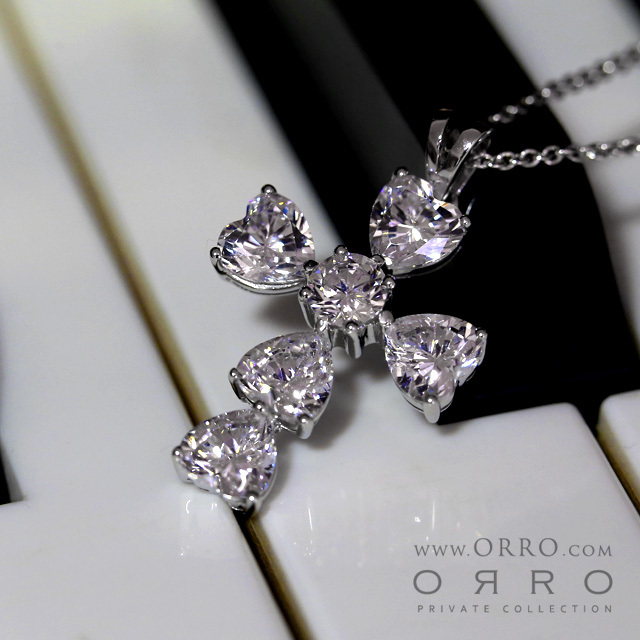 Some time ago I did my first blog entry for ORRO, where I was a very very happy girl and got a fully customised 18k white gold diamond stimulant ring, a necklace and matching earrings! Although it is a lab made diamond stimulant, its shine and sparkle doesn't lose out to that of a real naturally mined diamond! And now, ORRO told me I can choose Christmas gifts for my friends and family!!!! A bit paiseh to take too many things lah so I just got stuff for my mom, my mother-in-law and my blogger friends coz know they won't mind me snapping pics of them for this entry. Anyway, a little more about ORRO first, in case you don't know who they are! 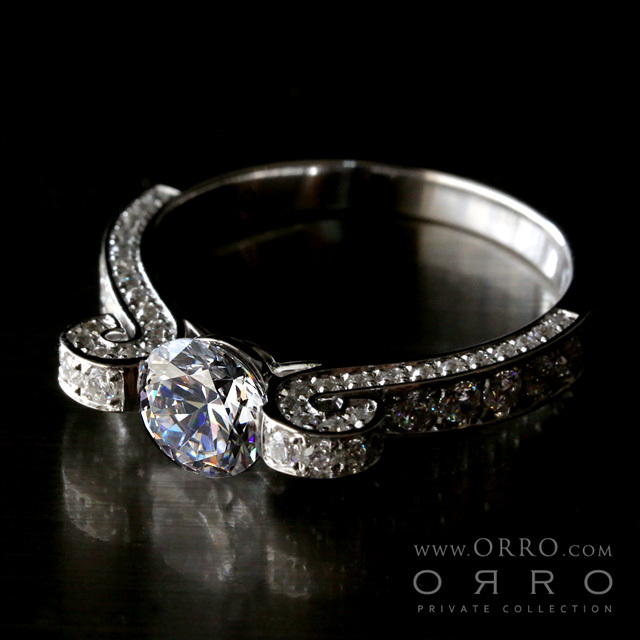 Master Cut Diamond Simulants are set only on their solid 18K yellow/white/rose gold or pure platinum pieces. Price start from $435. 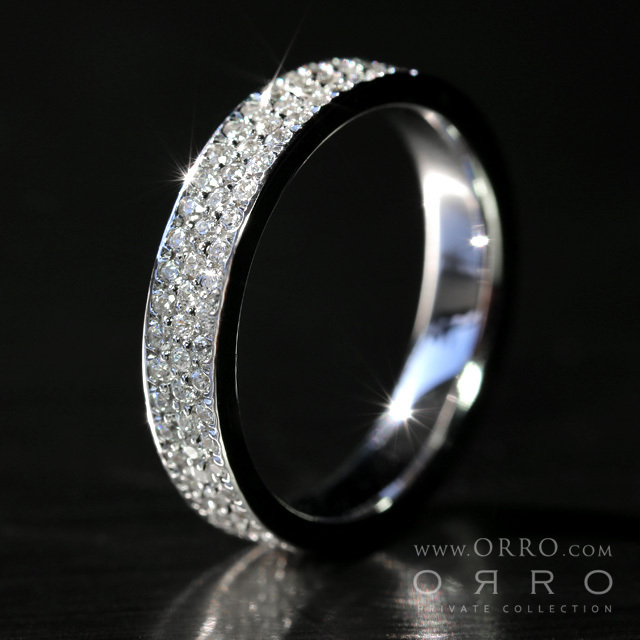 ORRO’s Superior Cut Diamond Simulants – a machine-cut and hand polished lab-grown diamond simulant that's created in a manner whereby every facet of the stone is cut to precision and adheres to the industry's most stringent diamond cutting standards. 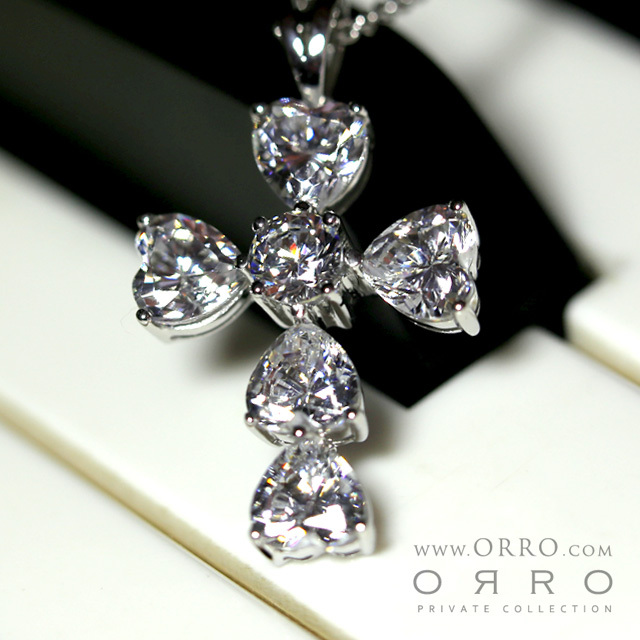 Superior Cut Diamond Simulants are set on their platinum vermeil (sterling silver) pieces. Prices start from $145. 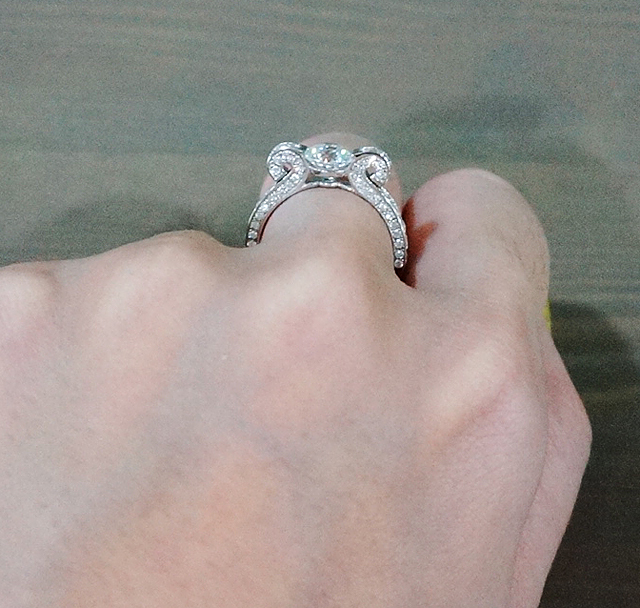 The last time round my customized ring was 18k white gold. 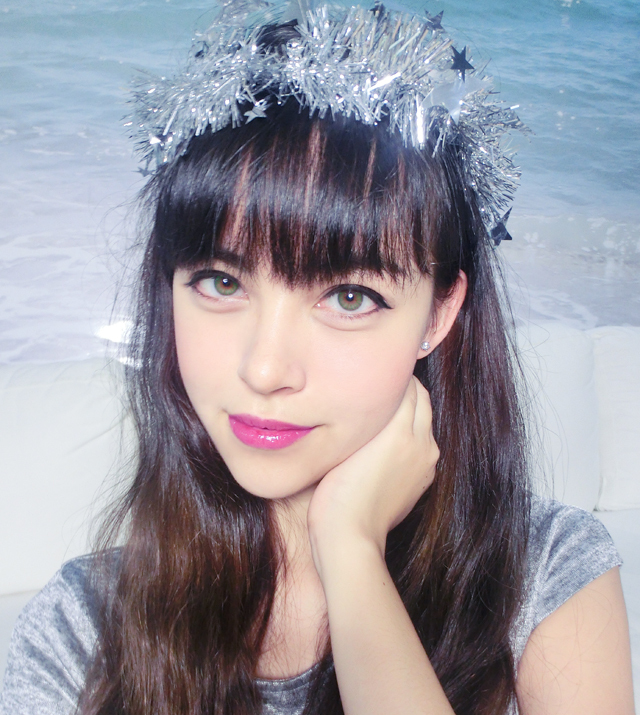 But today I want to talk about the Platinum Vermeil range... The prices are much more affordable then the 18k gold range and will make fantastic Christmas presents!!! Without further ado, here's what my happy friends and family chose!! Actually... They didn't personally go down to the store to pick the items. They actually just told me a rough idea of what they wanted (via very lengthy whatsapp messages) and I chose the stuff! Everything is customized to their sizes!! SO HIGH SEEING SO MANY ORRO BOXES!!! 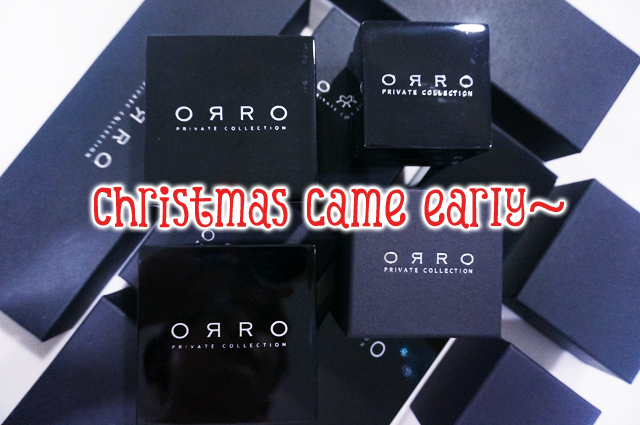 ORRO jewellery comes in these gorgeous sleek and plush piano black jewellery boxes... Great presentation for a gift. My mom wanted a sparkly bracelet that she can wear on a daily basis. For some reason I feel this design screamed her (maybe somewhere in my childhood subconscious I saw her wear something similar?). Best of all it also came with a matching earring!! She's so happy!!! She's wearing her matching ORRO earrings. 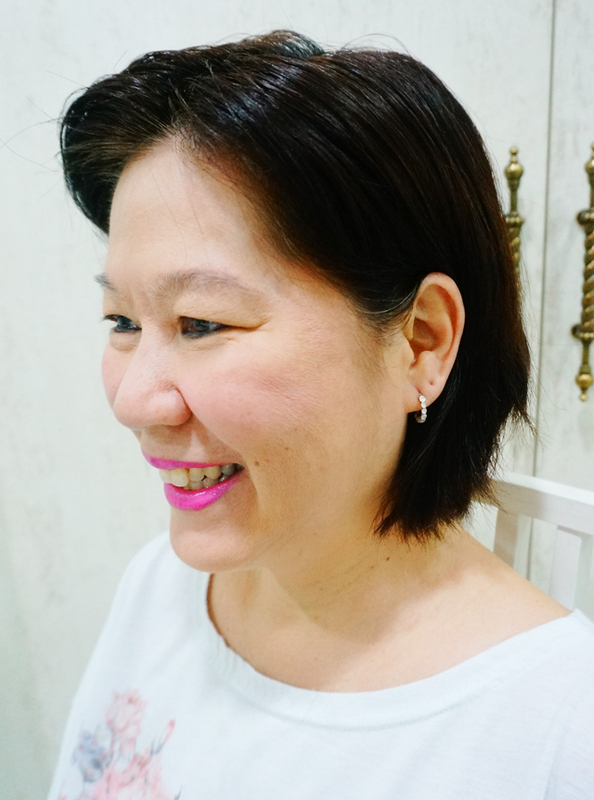 ORRO Completely Bazel Set Loop Earrings. 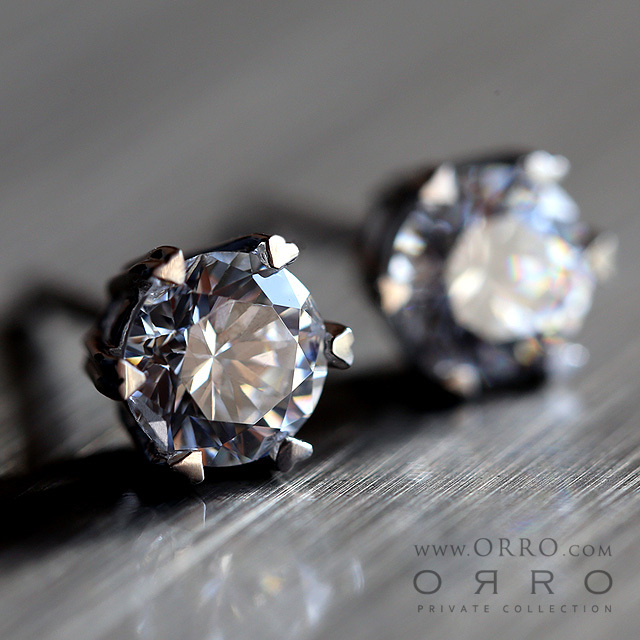 Actually ORRO is a great gift idea for moms/mother in laws... They all love sparkly stuff but most aunties don't want to wear real diamonds because of fear of losing them!! Now they can have fine jewellery but not waste away their pieces in a safe. LOL See how happy she is?? 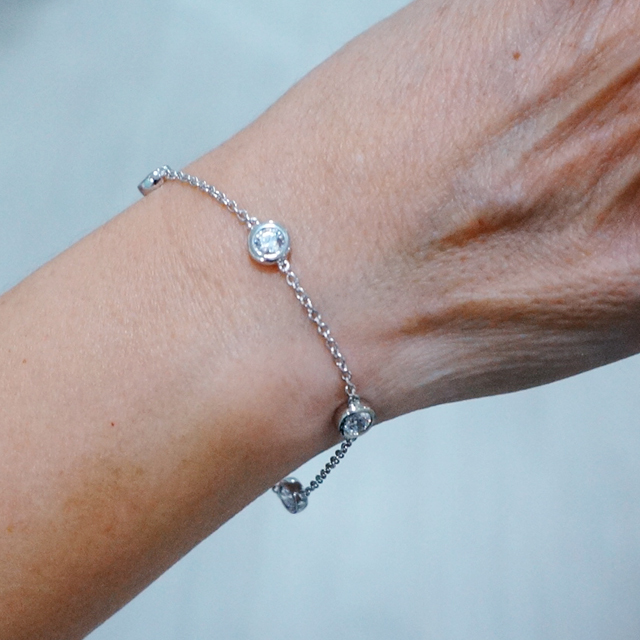 Her bracelet - the ORRO Beloved Charm Bracelet. She was so pleased she said she will cook more food for me. LOL!!! I was told this is a very popular new ORRO design and I immediately though of my mom-in-law Ann! It's a cross made out of heart diamonds and it's so sparkly. She rarely ever spends money on herself so I hope new jewellery will make her happy! Sophie wanted solitaire earrings that are subtle enough for work, so I told her to get these!! 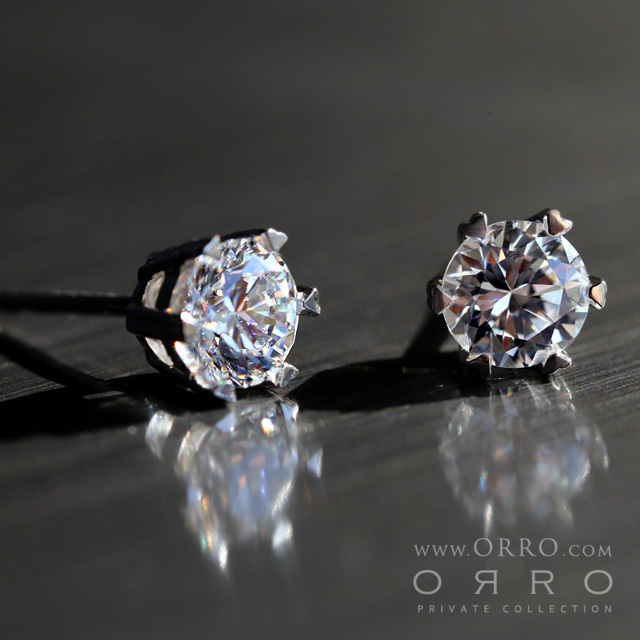 ORRO Hearts All Over The World Earrings! 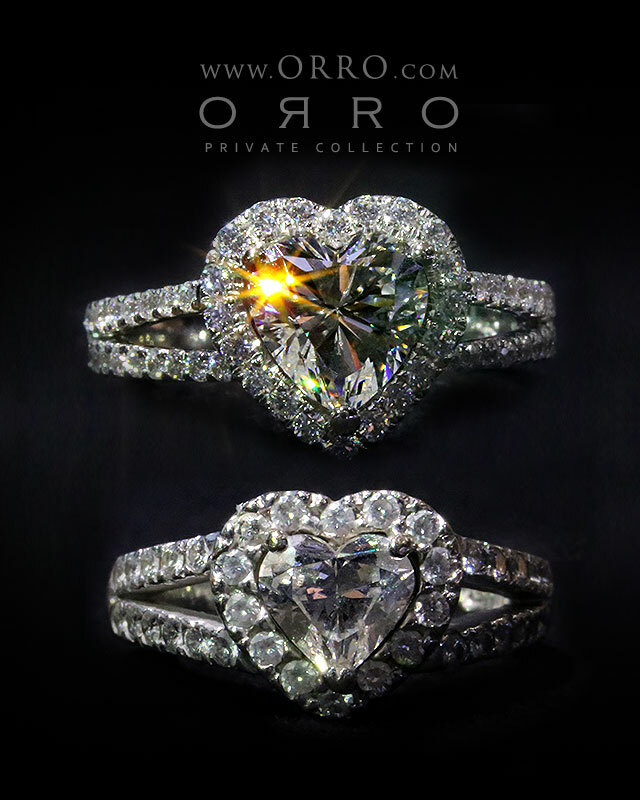 I've always loved (pun intended) ORRO's signature heart prongs!! Solitaire earrings need not be boring! Now comes with a twist! Ok can't really see the earrings but here's a super pretty photo of Sophie. 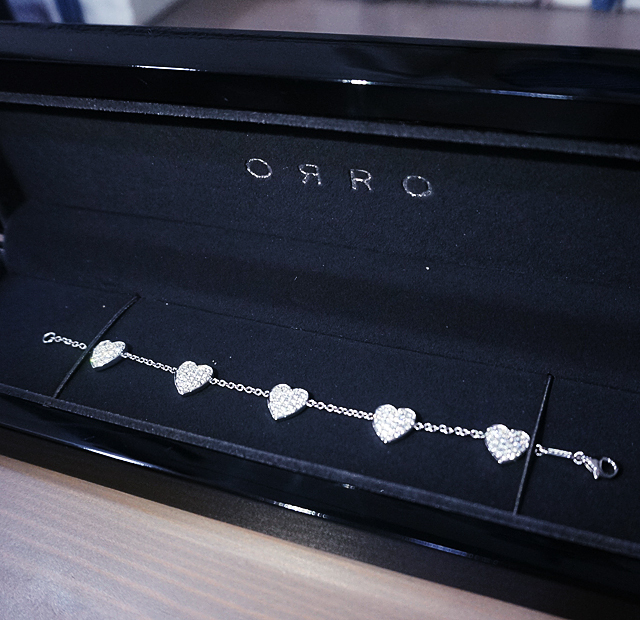 Qiuqiu said she saw this heart bracelet design on ORRO's website and was in love with it. But that design only had one heart on it. I saw this multiple heart version in the store (it's not on the website) and she said she likes this even better!! It's so bloody cute! I must admit I was super tempted to ask if I can get one for myself too!!! 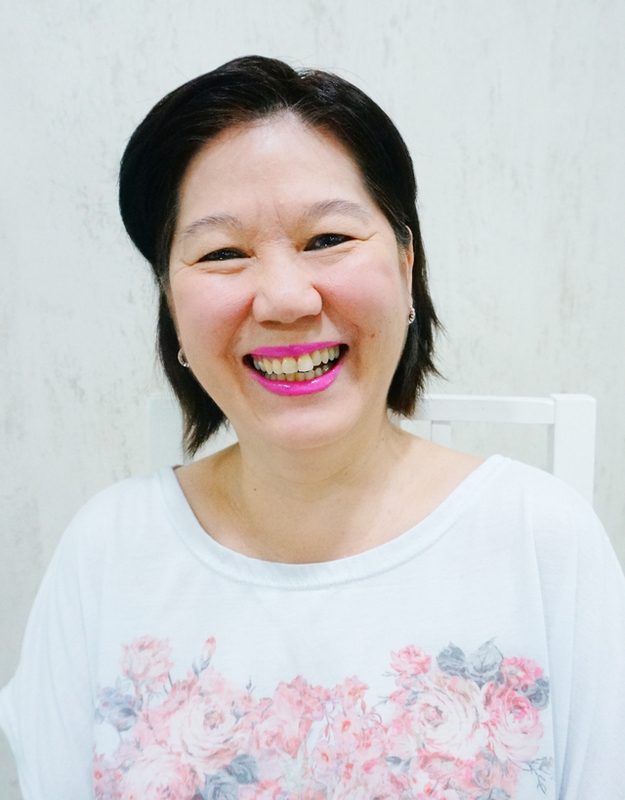 She said she will treasure it very much coz usually she damn budget so she will never splurge so much on herself. I thought it would be hard finding a gift for a guy at ORRO but they have men's stuff too! 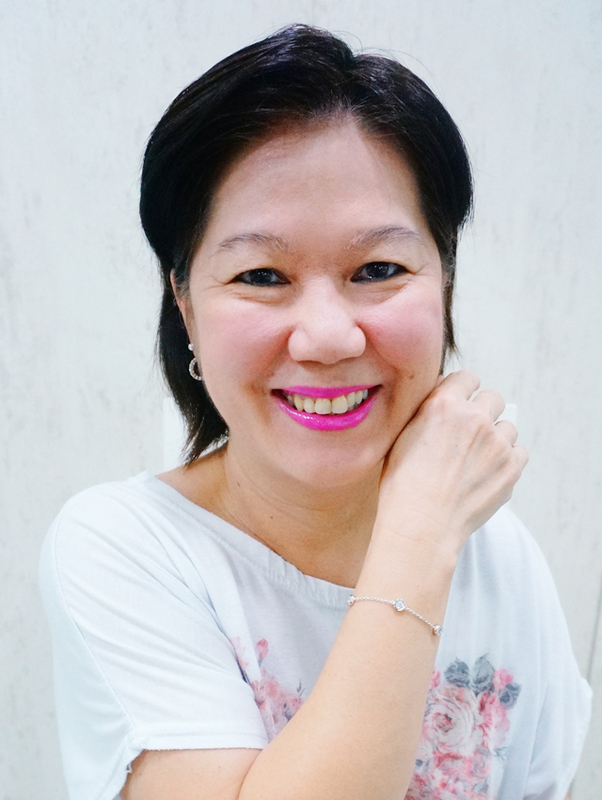 Yutaki chose this unisex Three-Line Paved Ring Band. Very classy!! It fits his index finger exactly right because it's custom made to his size!! Erm ok fine besides picking stuff for my friends and family I also got something for myself!! Sorry lah I couldn't resist!!! 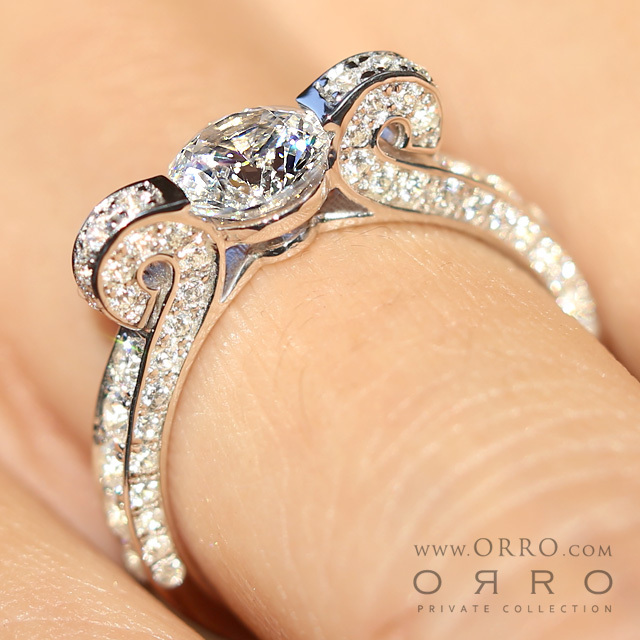 I was looking at a ring longingly and ORRO said I can go ahead so I did. LOL!! 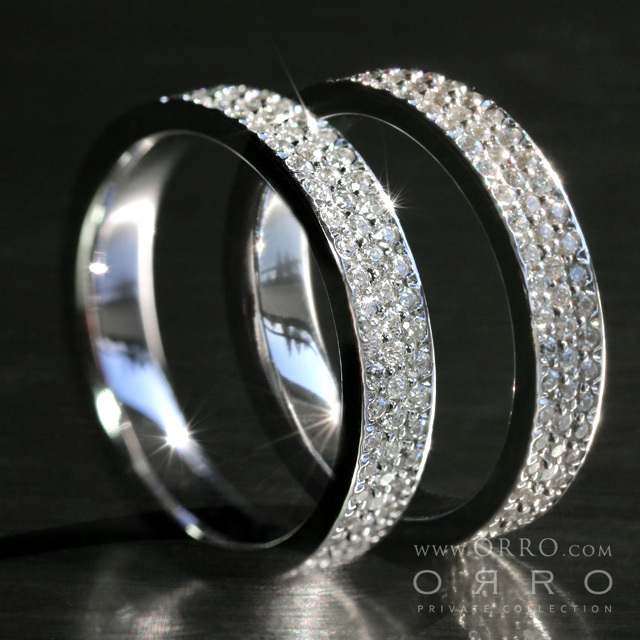 It's the ORRO Perfect Reflection Ring! Here it is on my finger!! Diamond encrusted from every angle. The photos simply cannot do justice to the shine and sparkle! Best thing I like about this ring is that it has no sharp edges so I don't have to be scared of scratching Dash when wearing it. I've not taken it off since I got it!! LOVE IT SO MUCH!! 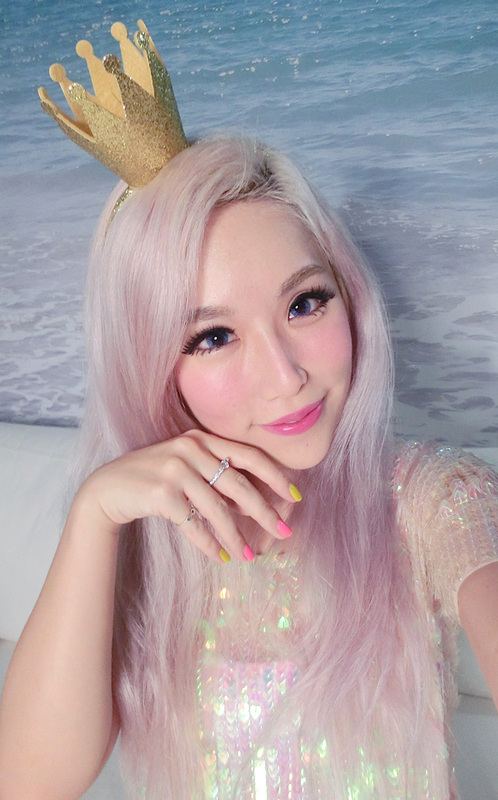 I took out the ring light in the living room the day the bloggers came over to collect their gifts so we all took pics together!!! 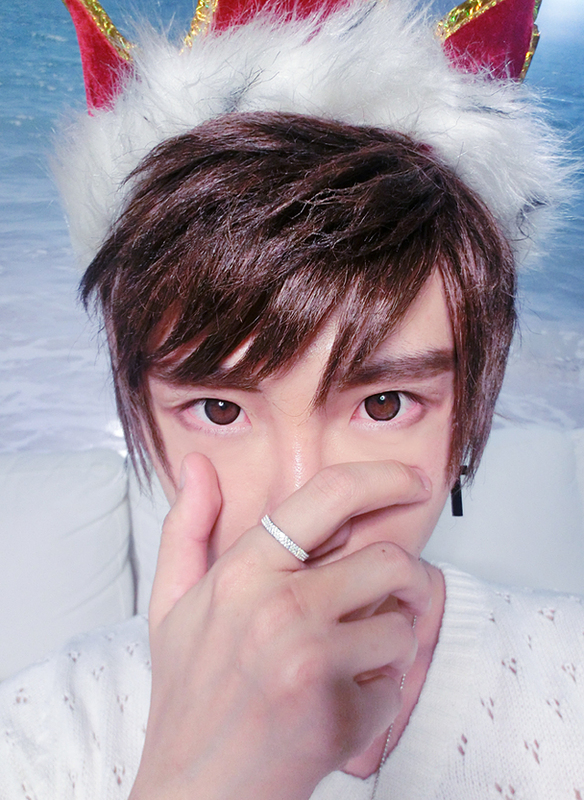 Ok finished with the camwhoring shots!! 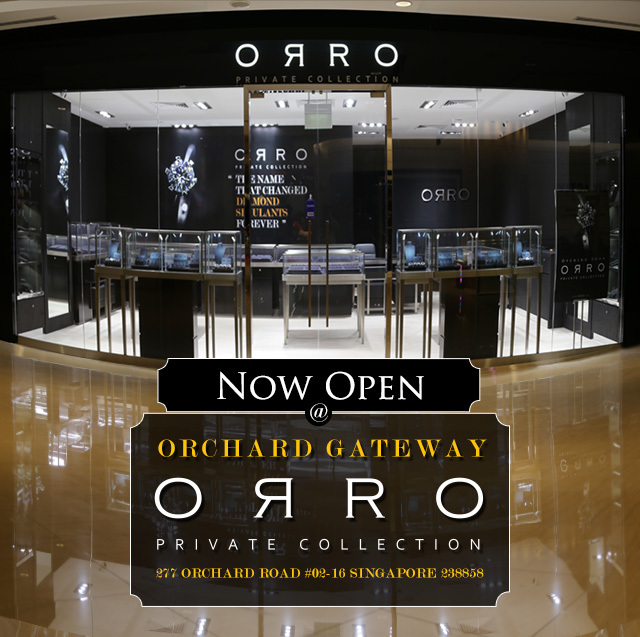 ORRO's showroom is at #02-09 of Pacific Plaza. Pacific Plaza is just beside Shaw Centre and 5 mins from Orchard MRT!! And they have a newly opened outlet now at Orchard Gateway! Orchard Gateway is the new shopping centre just directly above Somerset MRT station so it's super convenient also! If you are not free to physically make a trip down to get Xmas gifts for your loved ones, or if you are overseas but want to buy something for someone living in Singapore or anywhere in the world, ORRO actually has a very very comprehensive website (http://www.orro.com/) so you can actually go look at the website to do your online shopping!! ORRO ships your orders worldwide! However, remember the store has a lot more designs plus the pictures on the website will never do justice to the sparkle of the diamond stimulants. Warning though... If you go down to the store you won't buy just what you went in to buy because all the stuff are so gorgeous and affordable wtf!! 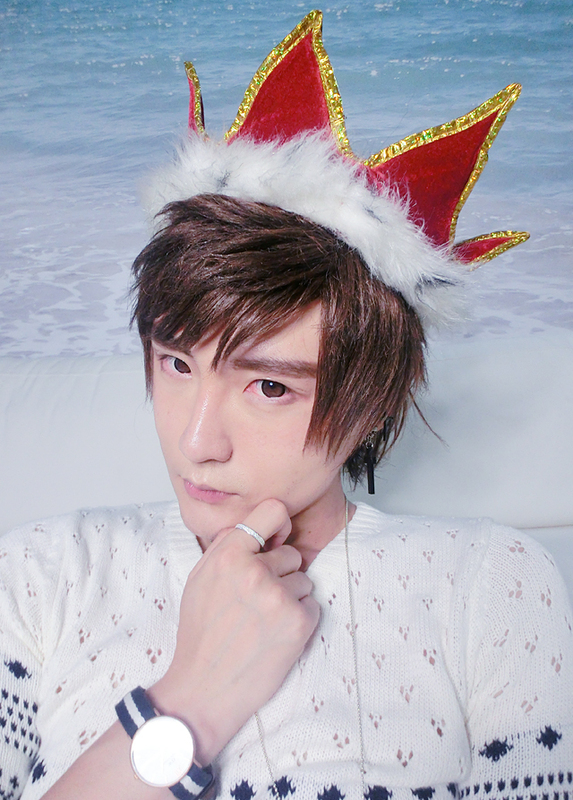 Ok lah maybe not everyone is so addicted to sparkly stuff like me.